It's Sunday already? I'm not sure how that happened. I'm slowly reading The Oregon Trail. When I say slow I mean the molasses in January kind of slow. I blame my slow reading pace on my current binge-watch of Scandal. That show. Good grief, it's like an addiction to sugar. So bad for you, but so good. 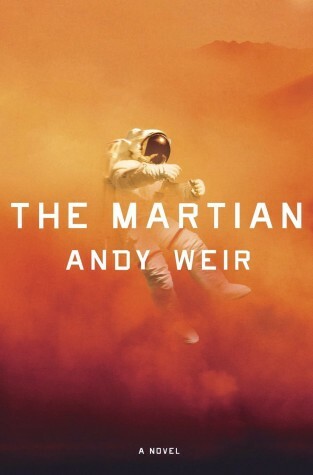 We've been chatting about The Martian over on The Socratic Salon. Join us! I'm supposed to be participating in the #24in48 Readathon. In reality I'm sitting here being crabby about the spoilers I've read about Go Set a Watchman and longing to get back to my lover: Netflix. In other words, it's time to go avoid the internet. I hope you've had a good week and an even better weekend! What have you been reading, watching, cooking? I'd love to hear! Reading? Not a thing. Hope to change that soon, maybe even today or tomorrow or the next day ;) but MY lover Netflix is calling me with NCIS too. Cooking? Nope, not a thing either. I was worried about you when I saw the "I hate everything" gif over at Google Plus, but now that I know that it's just all the hype about Go Set A Watchman that you really hate, it's all good. :) Hope you find something to like today. Ha ha, I don't hate everything. Only ALMOST everything, ha ha! I hope you find something good to read soon :D I also hope that I find some reading inspiration but I'm betting that won't happen until I devour the rest of Scandal on Netflix. I've tried really hard to tune out the hype/spoilers about Go Set a Watchman... will skip reading it for now, too. Maybe next year I'll reread TMaM and then give it a try. I'm debating on whether or not I even want to read it. SIGH!!! ;) I'm staying away from Twitter as much as possible. When the articles have spoilers right in the titles there is no escape. UGH is right. :/ I'm one cranky reader. I've been avoiding all things Go Set a Watchmen, more so than I have with others. I do not want any spoilers before I have a chance to read it. I would be ticked if I saw any!! Stay far away from the internet! If it's not a news article it's readers parsing every sentence on Twitter. SIGH, lol. I'm doing HORRIBLY avoiding the internet this weekend. It keeps sucking me in somehow! It's only because of the binge. Oregon Trail is really good and incredibly interesting, I promise! 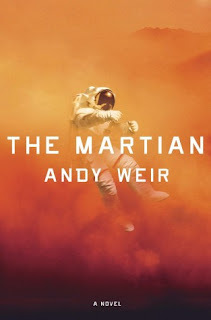 Listened to an interesting interview with Andy Weir on the Nerdette podcast I would definitely recommend. 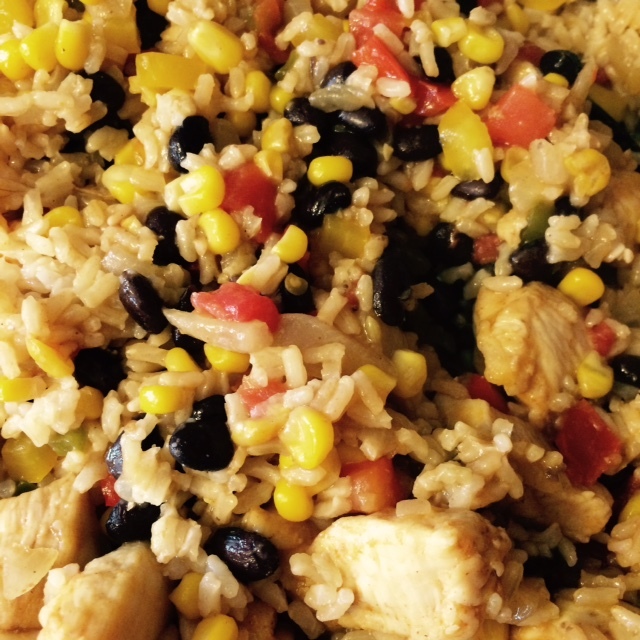 The Fiesta Chicken looks delicious and I'm always pleased to find something that I can tweak to make even better. So, Oregon Trail? Not good or just not the right thing right now? Oregon Trail is very good. I'm just glued to the Netflix screen instead of reading! I have been avoiding spoilers on Go Set a Watchman and still know more than I want to know. Granted, I'm not interested in reading it at this point in time. I'm going to be interested in everyone's reactions though. I'm curious about your comments on The Oregon Trail. I was all set to look at securing a copy to read until I read this. Are you just distracted or is it not that good? Do share! Jim is out of town this week, so I'm keeping my menu light and easy. Chicken salad, brats, spaghetti. Things the kids will eat with no drama. Maybe I'll put it off for a year or so? At this very moment I'm crabby and not interested. Grrr. Oregon Trail is completely interesting! It's not the book, it's me. I'm completely distracted by Netflix. I haven't read too much this week either, since we drove to my cousin's wedding and back. The Go Set a Watchman thing is utterly bizarre. I think I'm waiting to see what some other readers think before I make a decision on whether I will read it or not. I honestly don't know what to do. I'm so cranky about the spoilers and the nonstop chatter about it. Blerg. I'm not sure if I'll read it now, or read it a year from now, or not read it at all. I've been reading a chunkster nonfiction, Truman. I finished, but it took me an entire month. It was well worth it though. I've pre-ordered Go Set a Watchman...I better not get any more spoilers!!!! You'd think people would not put the spoilers in the headlines. Grrrrrrr. Ooh, gotta love those chunksters! Spoilers in the headlines are the WORST. Who made such a boneheaded decision??? I had the slowest reading week last week too....lots of trashy magazines, Bachelorette and Unreal watching instead. And, I read the first chapter of GSAW early Friday morning (thankfully!!) b/c I was amazed at all the spoilers out there immediately. I'm glad I wasn't alone in my trashy Netflix zone, lol. I read the first chapter as well. Now I have to decide when/if to read the rest. Netflix has really put a crimp in my reading. I try to not let it affect my reading but when an entire series is available it's hard not to binge watch, isn't it? I did not come even close to 24 hours (possibly barely 12), but it was fun! I was definitely feeling more in the mood for Netflix by last night. Watched a bunch of Daredevil with the honeyman instead (his first time watching it, so exciting! even though it's like my 4th). I'm so ticked off by the spoilers. I'm still going to read, but it's just so rude - you don't expect huge spoilers before something is released!! Yay, Netflix! Reading's been really slow for me too. I managed to pick up the speed for #24in48, but now I'm brain dead! I've read maybe 3 pages this week haha. OH WELL.